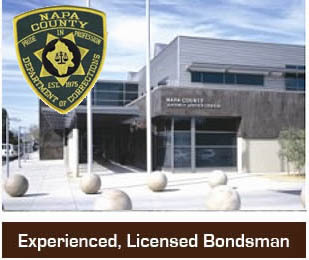 Many defendants in Napa County will be given the option to get out of jail on bail. However, not all defendants will have this option. When a defendant is given the chance to get out of jail on bail, the defendant will have to supply the courts with an amount of money that the courts will hold onto in order to ensure that the defendant completes his or her court obligation. That amount of money is the bail. Once the court obligation has been completed, the payee of the bail will receive a refund of the bail amount. The rate of bail is based on the crime that the defendant is in jail for and varies from case to case. However, many defendants cannot afford to pay the entire amount of bail on their own. In such circumstances, the individual may wish to use a bail bonding agency for help. Additionally, we can assist you in Lake County. Bail bonding agencies will supply the defendant with all the funds that he or she needs in order to get out of jail. In exchange for bail, the bail bonding agency will change the defendant a fee. The fee is usually about ten percent of the total cost of the bail. When looking for a bail bonding agency to partner with, it is wise to find an agency that has a track record of providing bail without issue. Look for an agency that is also licensed and insured. Plus, no matter what your financial situation is, it is always a good idea to find a bondsman that will work with you to arrange a payment plan that meets your financial needs. Many agencies even provide no-collateral down payments and the option to pay the down payment completely by credit card. Doing a little research into bail bonding agencies can go a long way to saving you time and money when it comes to paying the agency’s fees for your bail. It is better to know us and NOT need us then to NEED us and not have us! Premiere Bail Bonds – Serving California for over 20 years! 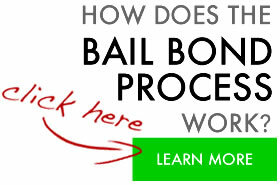 Allow us the opportunity to serve you unlike any other bail company out there 800-662-0056!